Ever check where the canned sardines in tomato sauce come from? A good number come all the way from Thailand. However, you won't see the fish at markets in Thailand. A majority of the catch goes straight into the cannery. A few leftover and other fish go to fish sauce factories. We're in our second month of the yearlong process of making fish sauce. 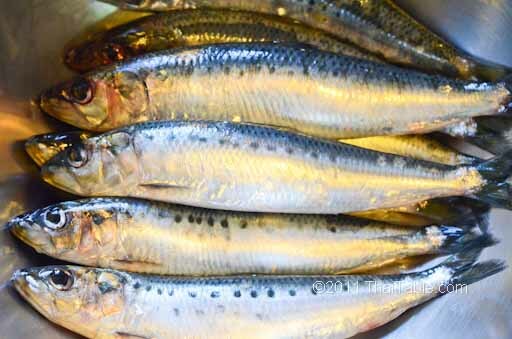 Sardines are a great fish to eat because they are not currently overfished.